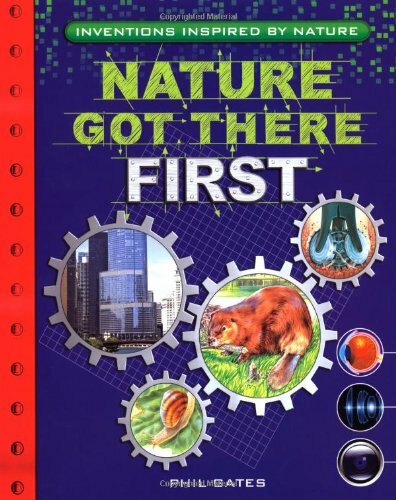 Nature Got There First is a book that will grab the attention of that rambunctious, easily distracted, eight to thirteen year old boy. You know the one? The little guy that runs up to everything and anything with wheels or a motor and looks underneath it to try and figure out what’s making it tick? This book is perfect for the young boy that plays outside for hours coming up with all sorts of make-shift uses for sticks, rocks, and insects.